I have now been on a low FODMAP/RPAH Elimination/Dairy-Free/Allergen-Free/Gluten-Free diet for 7 months. Phew, and I used think coeliac was hard. I now gladly long for the days when all I had to worry about was gluten! Coeliacs; count your blessings. There sure are worse ways to eat. 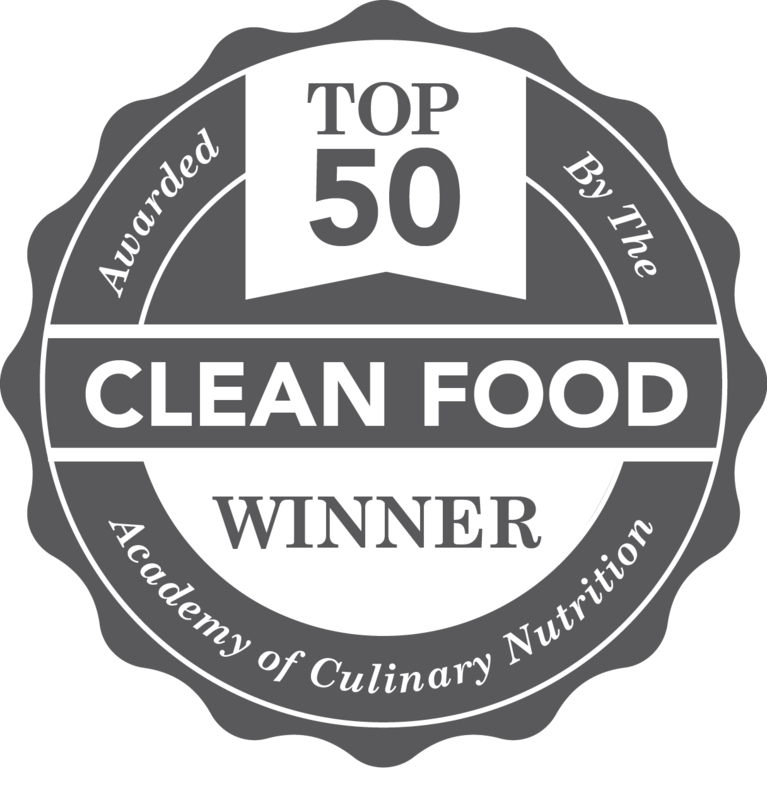 For me, the allergen elimination is temporary (though dragging out..), but many people fight with food in various ways every single day, and have no end result to look forward to. I sympathise from the core of my being, it is tough. You have to be a hundred things to yourself and your family; a creative cook, a patient baker, a clever candy maker, an ingredient expert, an additive decipherer, a detective, a hobby nurse, a negotiator, a voice of reason and a solider for your cause, a diplomat, and not to mention a heck of a motivator to yourself and others around you. So what have I missed the most during this time? Well where do I start. There’s fruit, cheese on my pizza, prawns… But most of all, the all time comfort-food, the universal treat; chocolate! You can easily find dairy-free chocolate or gluten-free carob bars, but what if you need it to be all of the above? Even if I could find vegan carob buttons that were gluten-free, I still can’t have the cocoa butter or coconut oil, not to mention the additives, so I’m all out of luck (and trust me, I’ve looked). All I could possibly do was make my own. And I tried. I tried time and time again to modify chocolate recipes and carob button variations, but alas. They all came out below par. That is, until one beautiful attempt with a whole new approach; success! Yum yum yum! I fed a piece to my dark chocolate-loving fiance, and he stole three more! That speaks volumes.. If you can’t have cocoa for any reason, you have allergies or sensitivities to chocolate or processed foods, you’re on the elimination diet, or if you simply wish to control the sugar content of your treats, this is the recipe for you! 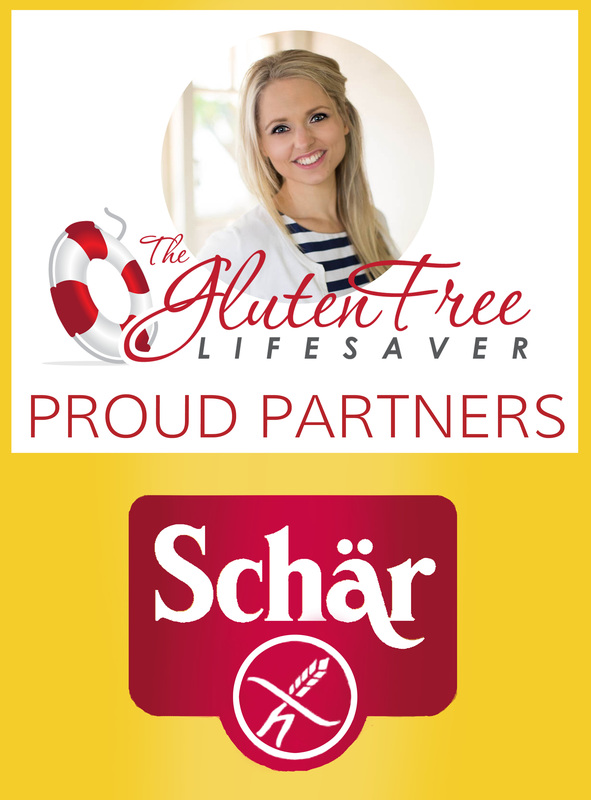 I’ll share the recipe with you in a minute, but first I’d like to shed some light on a very serious problem faced by coeliacs and allergics around the world. There’s one thing that has driven me crazy ever since my coeliac diagnosis, and that’s misleading labelling! If I happen to spend my hard earned money on an over-priced food item, one that I’ve chosen for the apparent reason of the allergen statement on the packaging, I don’t want to later find out that I can’t eat it. Or even worse, I certainly don’t want to get sick from eating it! Mind you, as a coeliac (although bad enough), I will recover. But were I a severely allergic child per se, I mightn’t be so lucky. Different countries have a different set of rules as far as labelling is concerned, but regardless of rules, brands have a very heavy responsibility. There is NO excuse, under ANY circumstances, for mislabelling your product. I have met, first-hand, manufacturers of “gluten free” products here in Australia who blatantly disregard the need for accurate labelling in accordance with their food handling routines, and I’m sure we’re not alone. At best, attributed to ignorance, and at worst, bad as it may sound, a deliberate attempt by some brands to trick their way into a growing segment in the food industry. Mislabelling is inexcusable, inconsiderate and outright dangerous. I once visited a production line where “gluten free” muesli was prepared on the same equipment as regular muesli, on the same day with the same hands and in the same outfits. A quick wipe of the bench were all the precautions taken. Given the benefit of the doubt, I put it down to ignorance, but as I explained cross-contamination and it’s effects on coeliacs, the manufacturer made no excuses and zero alterations to their process. I have since stopped assuming any brand is simply “making mistakes” as far as labelling is concerned, because if they don’t know what they’re doing, they should darn well find out! After all, you can’t market a product to a segment that has no choice but to believe you, and who literally risk their lives when they eat your product! I don’t think anyone would arrest me for assuming that product is gluten free. My bad obviously, because on the very bottom, if you put your glasses on and turn up the light, you can see a teeny tiny warning that this product has been processed on equipment that also processes gluten. In Europe and the US regulations state that there can be 20 ppm gluten in a product and it will still be considered gluten free, and who knows, perhaps this product would pass that test (underlining perhaps). But here in Australia the limit is zero detectable gluten, and the odds of that happening for this product are notably slimmer. Of course, we could applaud them for actually including that allergen warning (although it is mandatory), but at the end of the day this is poor form, misleading and far from safe for a coeliac! If by any chance they are in fact certified gluten free, I would love to hear from them to find out why their labelling is so contradictory. “Allergen Free Baking Powder” my hat! Out with the glasses again, and the label reads in tiny fonts: “manufactured in a factory that also mills products containing eggs, dairy, gluten, nuts and soy” – All the major allergens in fact! That has to be the most misleading labelling I have ever seen! 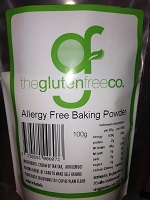 Not only does the logo promise a gluten free product, but the very specific description of the contents as being “allergen free” means nothing when you read the warning! It looks like a joke, and a very cruel joke at that, considering a child with a nut allergy could eat a full meal containing this product. Feel free to tweet, share, repost or contact this company to let them know how serious misleading labelling like this really is! And so, with the ingredients safely in order, its high time for some treats! The main problem with carob as a chocolate replacement is of course making it taste more like chocolate and a bit less like what it really is; namely carob. I got stuck on many aspects with all the recipes I found online, but I eventually worked out the balance, and I am very pleased with the result! There’s often the discussion of whether cocoa or carob is better for you. Carob has some wonderful added nutritional benefits, but so does cocoa, and they come out on a pretty even keel as far as health is concerned. However, if you cannot for any reason have cocoa, whether it is an amine sensitivity, an intolerance to theobromine, caffeine, phenylethylamine or anandamide (stimulants in cocoa), carob is a fantastic substitute! If you don’t care much for carob however, but you have allergies or sensitivities to any of the many other ingredients and additives in common chocolate, or you simply want to control the sugar content, this recipe is fantastic for making your own chocolate to! Carob is naturally sweeter than cocoa, and somewhat bitter to the taste. A good recipe should tone down the typical carob properties, and replace them with flavours that simulate those of traditional chocolate. This recipe will give you a deep, dark chocolate flavour, similar to those of high cocoa content. Very satisfying for a non-cocoa eater who’s dream of chocolate is but a faint memory at this point. If you prefer a lighter “milk chocolate” type variety, simply add more soy compound or milk powder to the recipe. 1 cup of vegetable fat that is hard at room temperature – you can use common vegetable fat, coconut oil, cocoa butter or similar depending on your preferences and intolerances. 1/4 cup soy compound (or powdered milk if you can have dairy) – You can add more soy compound if you want a lighter chocolate! 7) Let it cool down slowly, preferably in room temperature first before you stick it in the fridge. That way you won’t have white discoloring through it from cooling down too fast. 8) Once it has cooled down properly in the fridge (cold to the touch), turn the pan upside down onto a piece of baking paper and crack it up into small pieces. 9) I keep mine in a container in the fridge with a small “freshness packet” inside to absorb moisture. Then again I live in Australia where just about anything but your furniture (and sometimes even those) melts! These lovely little lumps can be used at choc-chips in cookies, ice cream and wherever else you might feel the urge to add a bit of yum. Can also deliciously be enjoyed as they are, by big and small chocolate lovers! What’s your opinion of carob? Why do you use it? And also, what do you think of misleading labelling? You’re right. That is absolutely misleading and I would say a blatant disregard for peoples’ health and well being. With what they have chosen for a name, it looks like a cash grab to me. I couldn’t agree more! Thank you so much for voicing your opinion, all we can do it spread the word and complain to the manufacturers whenever we see things like this! It’s shocking and sad. Hi Kristine, I’m trying to make your carob bar recipe but its not working! The butter (oil) is separating and the carob part is lumpy. Any thoughts on where I went wrong? Hmm, I have not had that problem before. Are you using a butter substitute? Sometimes they are not suitable for baking, and you might want to try another brand. 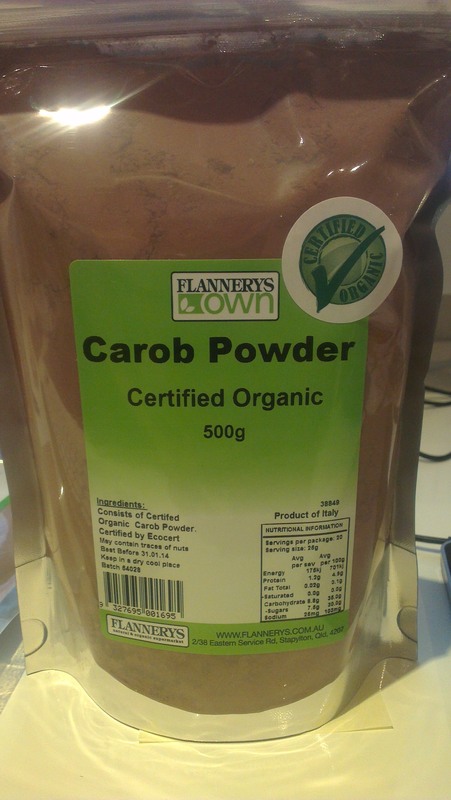 If your carob powder is lumpy you can try sifting it in with the flower. Are you following the recipe, and which products are you using? 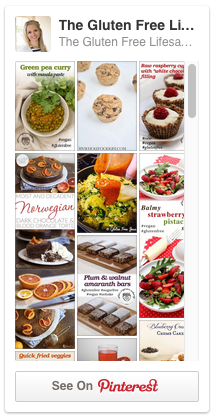 Allergic to chocolate and eat carob- thank you for these wonderful carob recipes!! I’m also vegan so this is great!!! Thank you for your feedback! I am glad that you’re enjoying the recipes,they sure helped me when I had to move away from chocolate. Was very disappointed to read your article about misleading ingreadient labelling and allergens only to find your recipe contains SOY, an allergen itself! 😞 I guess this recipe is not allergy friendly after all. Thank you for voicing your concern; there might be others out there who have the same questions. I’m sad to hear about your disappointment. However, you might find that your frustration is based on a misunderstanding. This isn’t an allergen-free recipe, but a failsafe one, nor is it specifically labelled as allergen-free. I have mentioned that people who have allergies towards cocoa (chocolate) can benefit, but it is not predominantly a multi-allergen-free recipe. The failsafe diet has a certain set of guidelines, by which this recipe abides. It does contain soy, which is allowed (for most) on a failsafe diet, and this is clearly marked in the description. The section of the post which talks about mislabelling is directed at products found in shops, and I feel that this topic is relevant for both allergic, coeliac and failsafe readers. I hope that clears up any misunderstanding, and that you can still enjoy the parts of the site that works for you! Your recipe looks amazing! I am hoping to surprise my newly chocolate-allergic sister with this for Christmas! She is in dire need of some chocolate 😉 However, she is also allergic to coffee. Do you have a recommended substitute? I was planning on just leaving it out, but I feel like the recipe might need the added richness.. Do you have any ideas? Thank you in advance!! Hi, is copha a common vegetable fat? If so do you know if it is low I amines, is decaff coffee low in amines? I am new to ‘low amine’ and unsure. Copha is a hardened fat made from coconut, and coconut is high in amines. The amine content in coffee is negligible, but if you are on an elimination diet which includes exclusion from other food chemicals, then coffee might not be the right thing for you; decaf or regular. Thank you for such a quick reply, I am cooking for my daughter who only has to restrict amines and I would love to make her a ‘chocolaty’ substitute for easter, is there a ‘common vegetable fat’ that isn’t high in amines for your carob recipe? It’s a tricky one because you’ll have to substitute with unhealthy fats.. but then again chocolate isn’t supposed to be healthy 🙂 You can use lard (which isn’t going to harden outside of the fridge, so must be kept cold) but it’s not a very nice type of fat to eat, you can also use hardened versions of palm oil (choose sustainably sourced), sunflower, safflower, canola, rice bran or soy oil (no cold pressed canola, safflower and sunflower oils) that are hardened. Stay away from olive, nut oils, coconut or corn oils. If she can eat dairy then you could try to make softer chocolate alternatives with butter or cream? I hope that can point you in the right direction. You can often find these types of oils online. If you look for cocoa butter substitutes (CBSs), replacers (CBRs) or Equivalents (CBEs) then you might find what you’re looking for! Best of luck and a very happy easter to you! I’m doing the RPAH strict diet with no soy, legumes, dairy or wheat/gluten. Is there anything I can use instead of the soy compound? I can’t have milk powder. What about rice milk powder? Thank you for this recipe. Ran out of carob chips for myself. No veg fat or soy compound, so I used dairy instead ( I am good with dairy) and it turned out brilliantly. 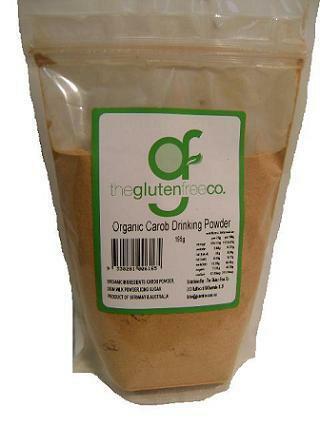 Have bookmarked recipe now as carob powder is easier to obtain than the chips. The Lack of response from the GlutenFreeCo is disturbing, but a note on the “manufactured in a plant that also processes…” statement on labels. Most regulations require this label even if the products are processed in entirely different, sealed from each other locations of the same facility. This is problematic for many companies, and why there are so few that make allergen free products. So please keep this in mind when looking at labels, and when wondering why GlutenFreeCo isn’t answering. Hi, Have been gluten free and low fructose for a while and now on low FODMAP diet as suggested by my specialist. Just discovered carob chocolate. Halleluja! Thanks for doing some of the hard work – I’ll be dusting off my apron shortly. Hi Mark! Have you tried using coconut oil? It’s a great, and healthier, option for many recipes! Thanks for this recipe – I’m a chocolate-lover on a failsafe, low FODMAP, dairy free and wheat free diet, so I was really excited to find it. Do you think Nuttelex could be used as the solid vegetable fat? I was also wondering how you know that soy compound is low FODMAP? I’ll try and find some brown rice protein powder, but who knows what will be available at the shops.